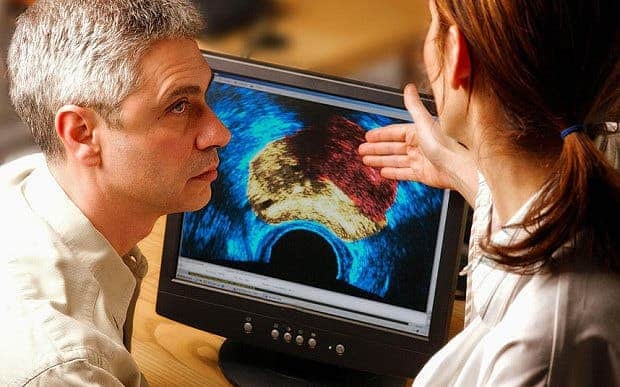 Scientists have found a way to prevent cancerous tumors in the prostate from spreading, effectively switching off the disease. Researchers from Bristol and Nottingham universities found that a single molecule plays a crucial role in the forming of new blood vessels, and the spread of tumors could be halted with a mere injection. A neoplasm (commonly known as a tumor) is an abnormal growth of tissue. Tumors need a constant flow of blood to survive and grow – so if we could somehow prevent the blood from flowing to tumors, we could prevent their growth, and even destroy them. Scientists also found that a single molecule (SRPK1). When scientists injected mice three times a week with a substance to prevent the SRPK1 molecule from working, the tumors’ spread halted. SRPK1 also plays a key role in angiogenesis. Angiogenesis is the physiological process through which new blood vessels form from pre-existing vessels; it’s also the process through which tumors are able to form blood vessels and obtain the nutrients for their growth. By monitoring SRPK1 levels, researchers found that the levels increase when the cancer becomes more aggressive, and they were then able to figure out the connection between the molecule and angiogenesis. Prostate cancer is one of the most dangerous types of cancers out there, especially for older men. About 99% of cases occur in those over the age of 50. In the UK alone, 40,000 people are diagnosed with prostate cancer every year. It is also the most common type of cancer in men in the United States, with 186,000 new cases in 2008.